is that really the mtn dukes? 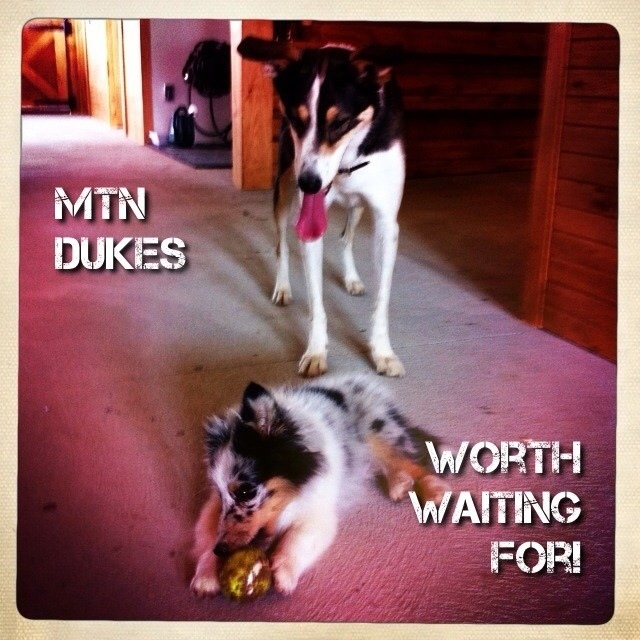 a day later & our ears still can’t believe the mtn dukes did their Dukebut! it was AWESOME! a mere 2 sets worth of favourites spanning the decades all done with a subtle sprinkling of dukealicious spice! it was great to finally get the opp to perform with the dukes & get some of these songs out there. mucho thx to Bruce Hooligan for opening the show for us with a sweet set of acoustic songs with yours truly on the bass. T’was super memorable to have him also do a laid back version of “the waiting” with us. we will ever never forget that! as well, Ben was great singing an entire song with the mtn dukes and a HUGE THANKS 2 every1 who showed up. t’was nice to see some new/old faces so we were on cloud 9 the entire night! OnCue was a sweet choice of venue to have our Dukebut. new renos have made the space more band/fan friendly. the bar is now more in the middle of the venue and there’s a HUGE tv there. still tons of pool tables & delicious food. we were invited back so we will effort to get another Duke show there before the end of the year. as for our playing, we will admit to just being a tad overwhelmed on 2 occasions. we got caught twice looking at our dukemates & getting lost in thought (ie: i can’t believe we are actually playing a show!) & then totally forgetting about the song we were in. too funny! also had some gear location issues during the warmup set with Bruce Hooligan. must remember to have everything set where we need it BEFORE we start playing! another too funny of a bass “DO’H!” moment. now the mtn dukes take a week off before embarking onto making a 3rd set. good times lie ahead! next show TBA! this Friday marks the debut of the Mtn Dukes. its a cover band 3 years in the making. many moons ago, we read a “bassist wanted” ad on craigslist that listed something along the lines of “must be Pixies fan“. since they are a top 5 band of ours, we couldn’t resist responding even though we had just started playing the bass only 2.5 months prior. we remember being a bundle of nerves that first jam(it was only the 2nd time we’d be playing the bass in front of ppl we didn’t know) but the other peeps seemed cool enough. 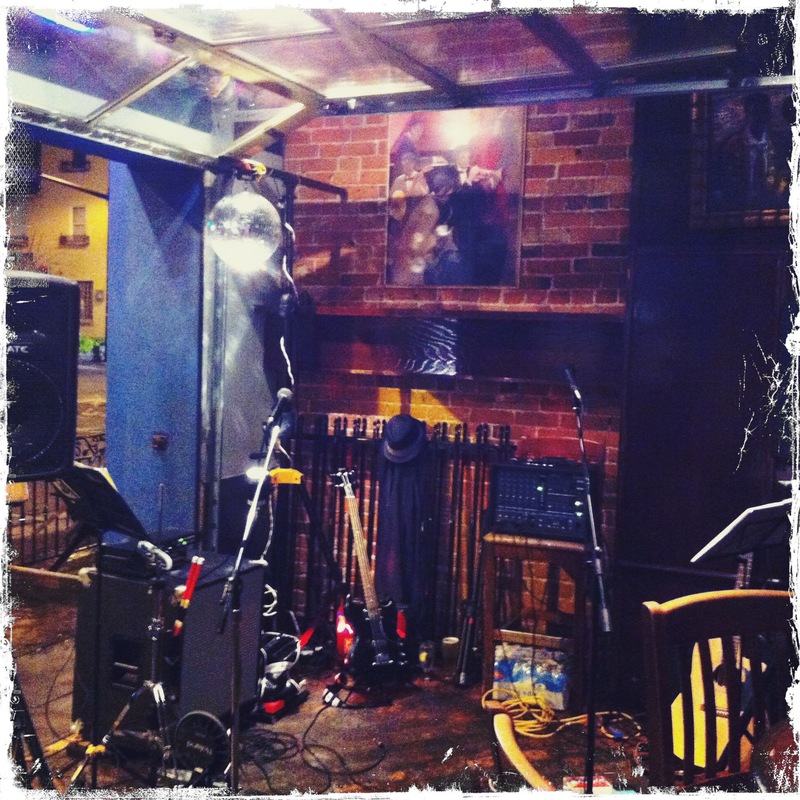 the drummer & guitarist were solid & friendly. not only were we on audition that first jam but also were a bunch of singers. 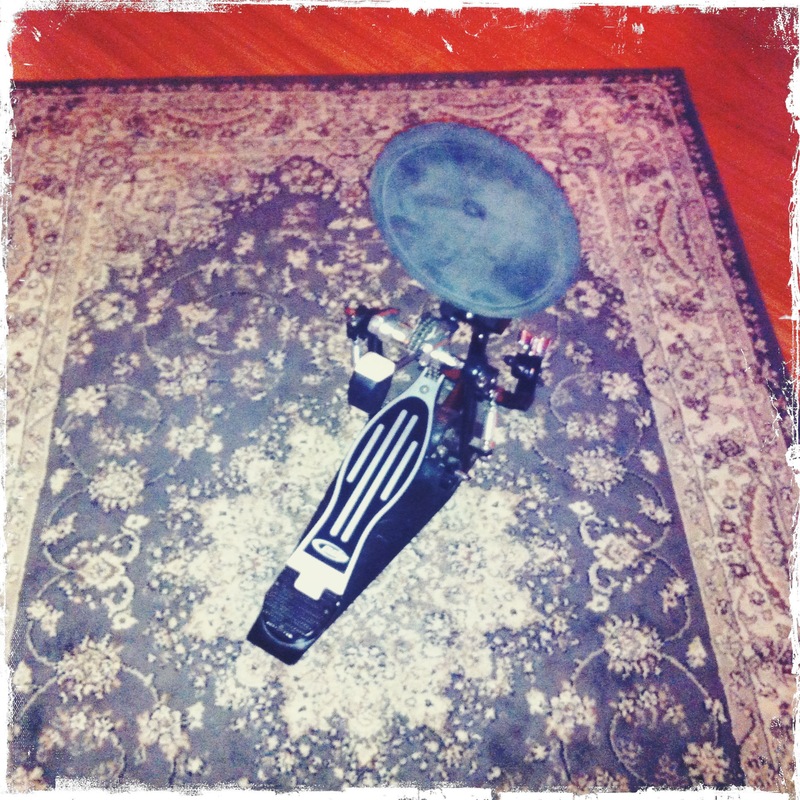 our low end passed the grade & so then the longstanding issue became finding a proper vocalist. one that could also play guitar & “actually” sing. after that first jam, the 3 of us agreed to keep up the search for a singer. we knew we had 3/4 of what could be a smokin’ good band in the making. we needed a singer that shared in the same love of music we had & one that also believed in our motto of starting “not just another cover band”. we wanted to play songs we liked that we thought others would like too. we weren’t interested in playing songs that most cover bands play. there would be no “sweet home alabama“, “hard to handle” or “new orleans is sinking” in this yet to be named band. great songs as they were, they just get overplayed and we wanted to play some of the tons of other great songs that are out there with a keen eye on alternative/modern rock as well as some ‘choice” classics. many weeks, months & actually years would pass. we’d try out a few singers & have a few jams & then we’d not be in touch for awhile. none of the would-be singers would quite fit the bill. some couldn’t sing, some couldn’t play guitar. some were too busy, others too interested in fame/fortune. some wanted a band to back their solo careers & others were just plain ol’ nutjobs. there was even one with an odd smell that we just couldn’t get past. looking back now, you name it & it feels like we saw it. sometimes we just get together as a 3 piece to rock out a few songs every few months. t’was a good way to keep the ol’ flame alive in what looking back was “the dark times“. the spark for this band was always there though on the backburner for all of us. we turn now to this past spring. we had had the good fortune of witnessing the audition of a singer(for another band) who really, really, really wanted to play guitar in a band. this guy seemed good enough vocally during this audition and we could see that it was killing him inside that there wasn’t room for a guitar player in that band. we kept in contact & decided to have him out with the Mtn Dukes. pretty much everything clicked right away & well as they say, the rest is history. Friday marks the start of our “live” shows. on one hand it feels like something brand new is starting. that is correct as we’ve only been a “true band” since the spring & a lot of our material is still quite fresh to us. on the other hand, it feels like this is the culmination of years of hard but fun work and not really the “start” of anything but the “result” of all that time well spent. regardless, no doubt that Friday will be Mtn Dukes history in the making. a lot of songs have come & gone over the past 3 years. the 20 that make the setlist are like a roadmap of that time. hilarious to think back but only 2 songs remain from that first jam! just love how this pic turned out of one of our fave low end friends! when it rains, it blogs! tis a cold, wet, rainy late summers day so why not give the ol’ blog some love? 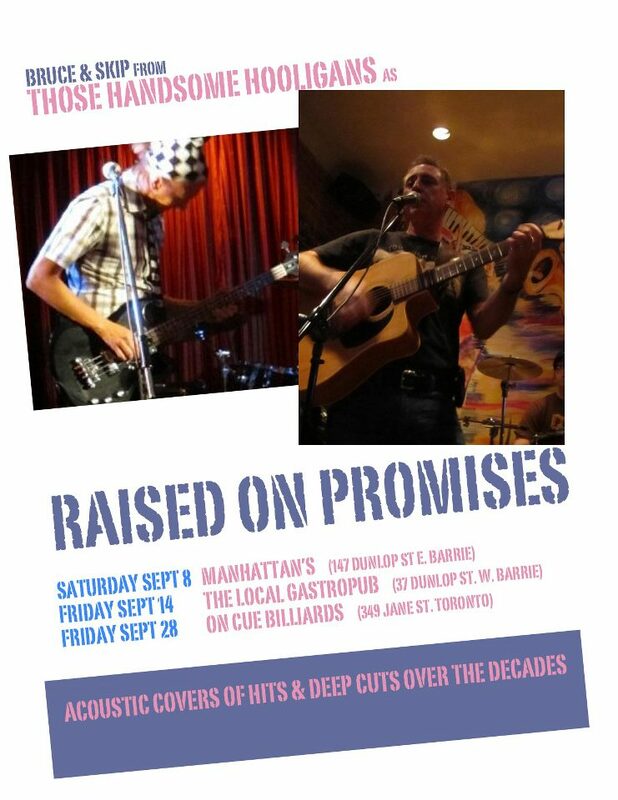 some news on the acoustic duo, “raised on promises” since that is where we have been the busiest. after a few select but successful shows, we’ll be taking a mini break for October. you can still catch the act opening for Those Handsome Hooligans on Saturday, Sept. 22nd and/or opening for the debut of the MTN DUKES on Friday, Sept 28th! 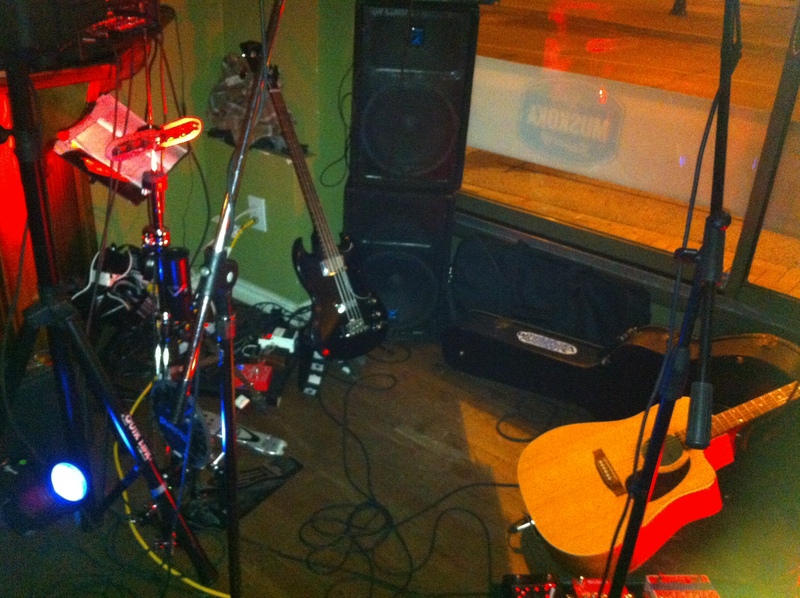 great times were had with the duo at British Arms, Manhattans and the Local Gastropub in Barrie! each place was a unique experience that rocked & much to our surprise… we had dancers! the interaction between us and the patrons has been a sheer delight! we will never forget the singalongs and stompalongs! perhaps its something that has to do with just being a duo that makes us more approachable… could be a theory but the intimacy level has been a great experience. 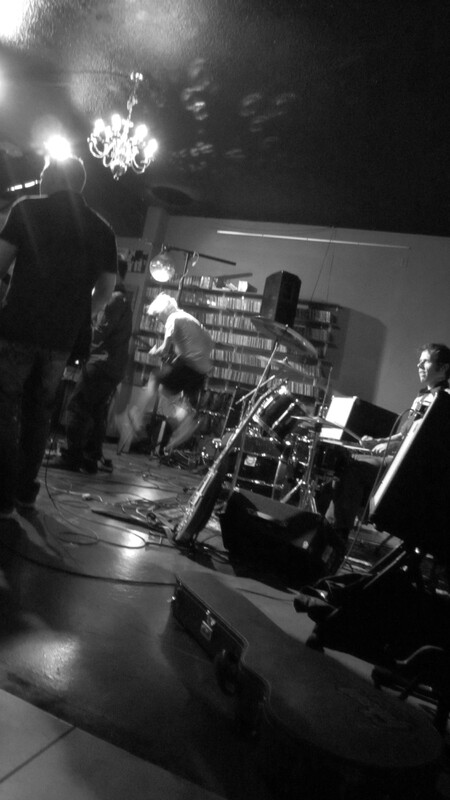 also, since we are not a karaoke act but we actually play the songs, that gets us some added good feedback. soundwise, providing the low end and percussion has proven to be a challenge but the addition of a simple stand(for a mere $35) for a kick pad that we run thru an Alesis DM5 has proven to be a winner! the only issue we’ve had is the amplification of the kick. running it thru the same sound source as the bass makes it tough to define. moving fwd we are going to keep it simple and run it on its own with its own amp/speaker. this Manhattans show in the pic, we ran the kick thru the 4×10 along with the bass. 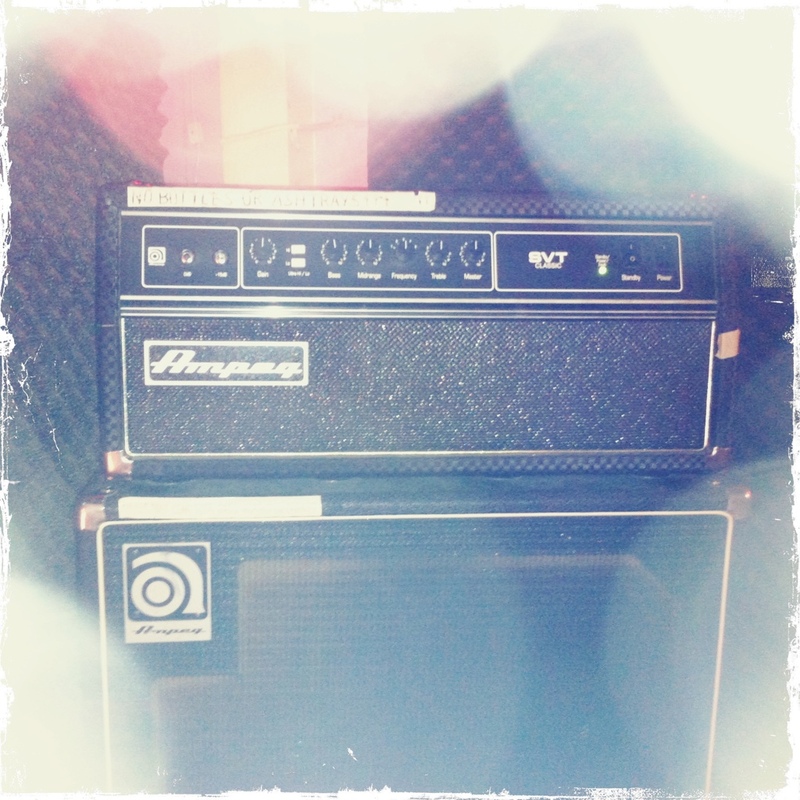 that overwhelmed our markbass head and it actually stopped on us twice during songs. we may have been running the drumkick signal too hot to get it to sound right so the next smaller show(pictured below) we ran both the bass and drumkit thru a couple of PA speakers but the sound of the bass suffered. it was ok, but not the best. thru the process of elimination, keeping them separate seem the best way to go moving fwd. 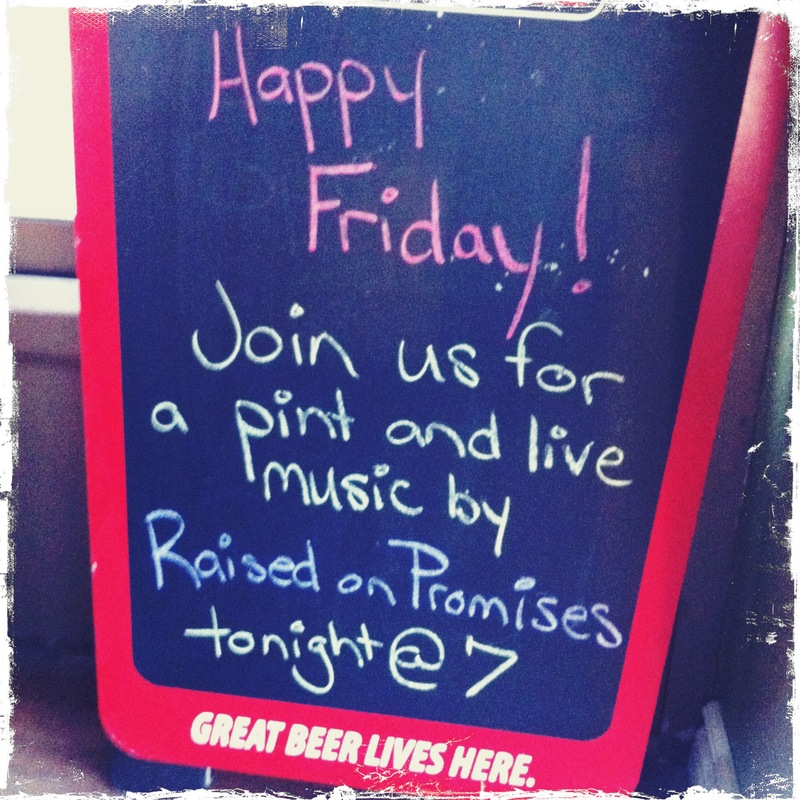 after so many recent shows with just the acoustic duo, we are really looking forward to this weekend and next! full band shows will be music to our ears! August flew by. 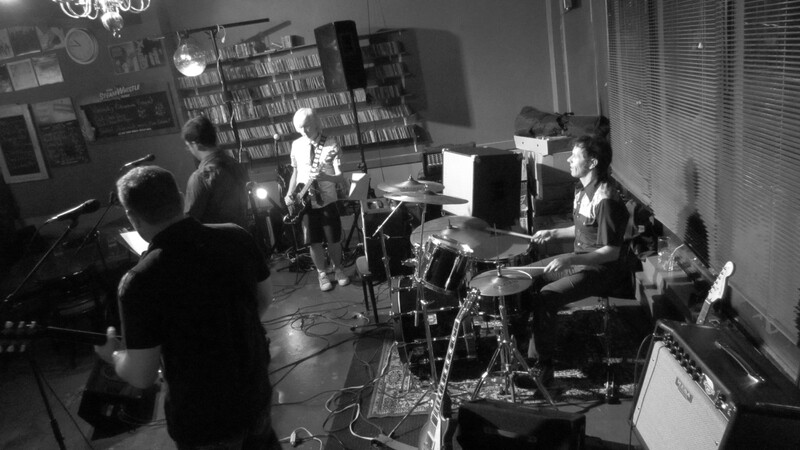 The relative lack of shows was nice & enabled us to gear up for a September 2 Remember! First up, some dates with “Raised on Promises“! Tis a deeeelite to strip down some classics & deep cuts to their cores & give them a stompalong/singalong take! hope to see YOU out for some of the dates! of which the last one is opening for the Dukedebut of Mtn Dukes at One Cue! that night will be just about 3 yrs in the making according to our calculations. we might be a month off since we think our first jam was in October or November but its close enuff for us to say 3 yrs in the making. the Mtn Dukes road has been filled with stop/start, stop, stop, start, start, start, stop, start, start, stop, start again. the band has recently gotten into the show mode with the finalization of the lineup and the addition of a singer/guitarist. hope to have a full 2 sets worth of dukealicious covers ready to devour that night for those in attendance. more news on the prep for that show in the wks ahead. with the summer vacays in the rearview mirror, its time to put the pedal down and rock it out Duke Style! 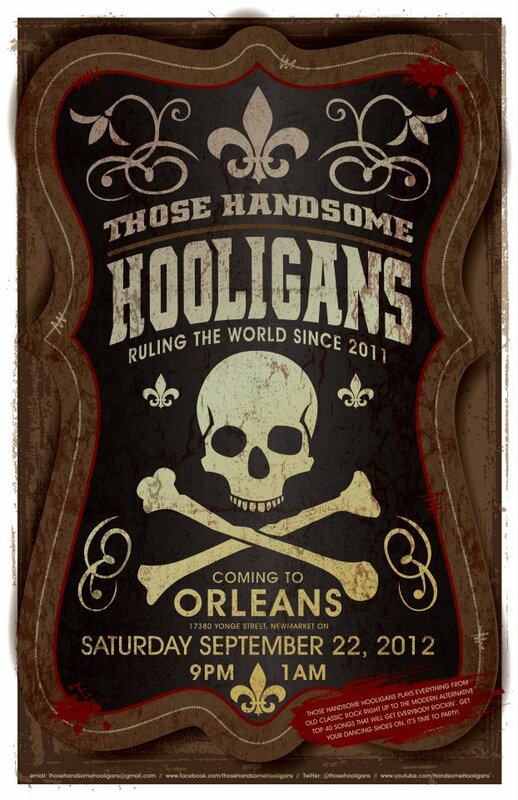 last but not least, some Those Handsome Hooligans news! yes, there’s a Sept show on the 22nd! our drummer is back for one weekend only so we’re gonna take advantage, melt some faces and celebrate some milestones. can’t wait!